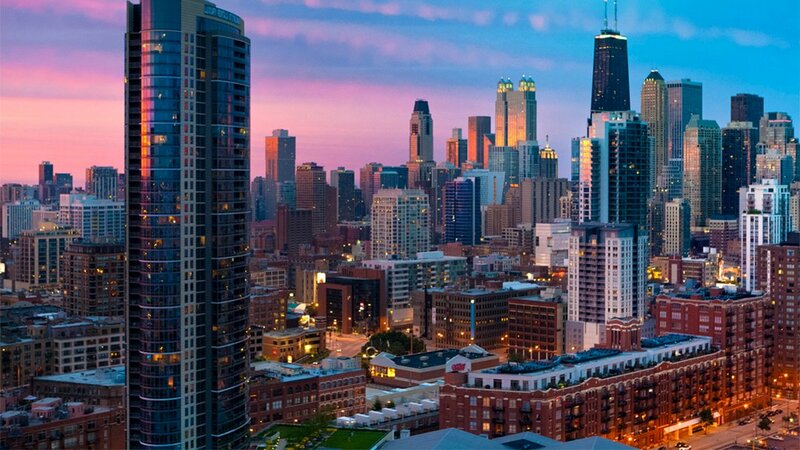 Chicago is the seventh city in the world to receive top-level certification for its sustainability efforts focused on green buildings. The city announced Monday that it had earned the highest level of certification using LEED, or Leadership in Energy and Environmental Design, the world’s most widely used green building rating system. The designation is part of a program launched in 2016 called LEED for Cities. To become LEED-certified, a city must track current energy usage patterns, report progress toward meeting specific emissions targets and adopt LEED-based strategies to reduce energy, water, waste and pollution, among other criteria. Earlier this year, a city report found that Chicago’s largest buildings decreased emissions by nearly 20 percent over the past two years. In 2017, Mayor Rahm Emanuel announced a commitment to transition the city’s municipal buildings and operations to 100 percent clean and renewable energy by 2025. The city is also preparing to launch the Chicago Energy Rating System, which it says is a first-of-its-kind program in the U.S. that will assign energy ratings on a scale of zero to four to all large properties currently subject to the city’s energy benchmarking reporting requirements. Other cities recognized with LEED's highest level of certification include Washington, D.C., Phoenix and Seoul, South Korea.